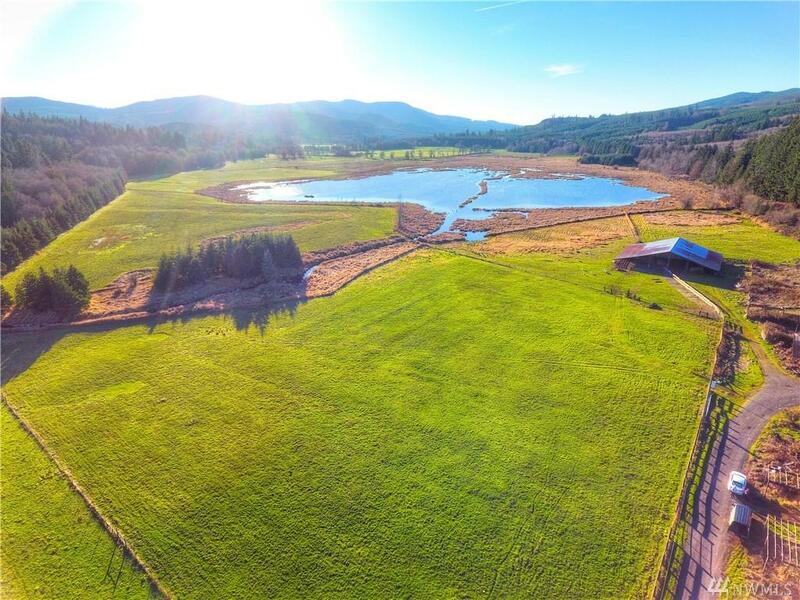 One of a kind property with 6 separate parcels totaling 163.72 acres. Skookum Creek (salmon bearing and salmon spawning habitat) runs about 2,050'+/- thru this property. 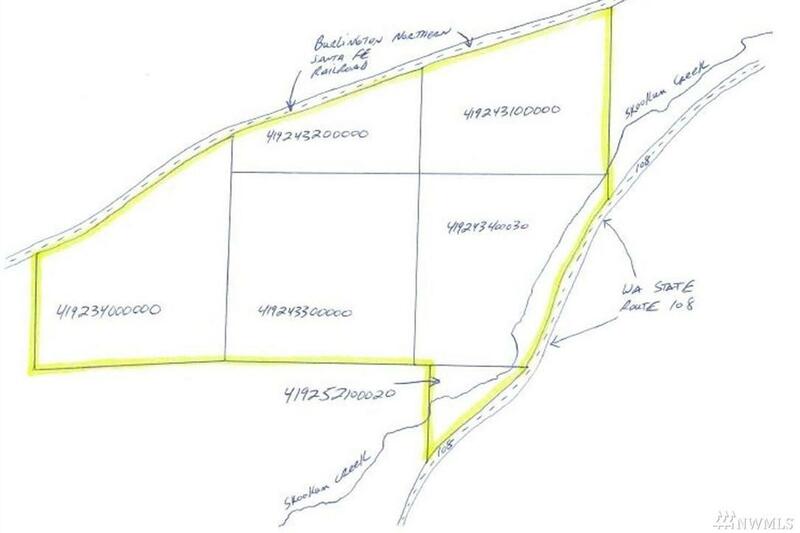 USDA Natural Resources Conservation Service has 81.35 acre easement (32 acre pond) for only hunting and fishing on it. Great Large cattle barn. 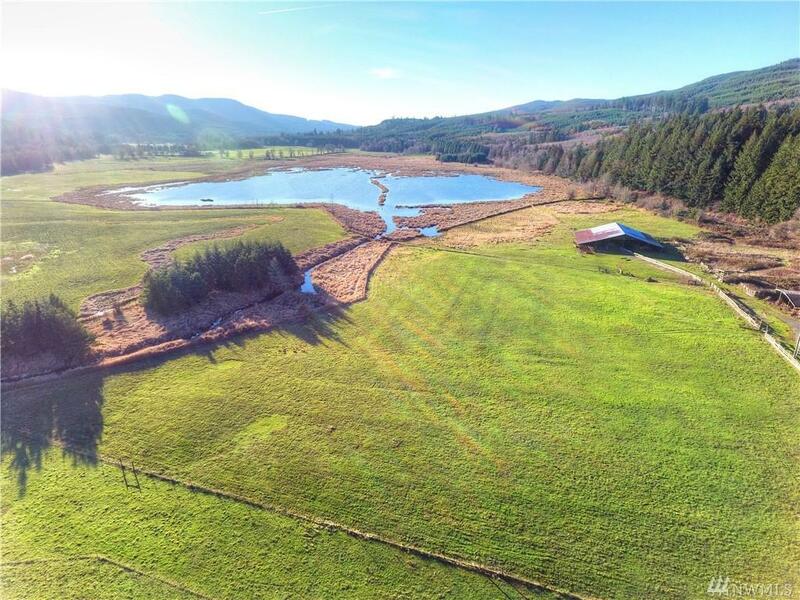 Approximately 60-80 acres of pasture grass. 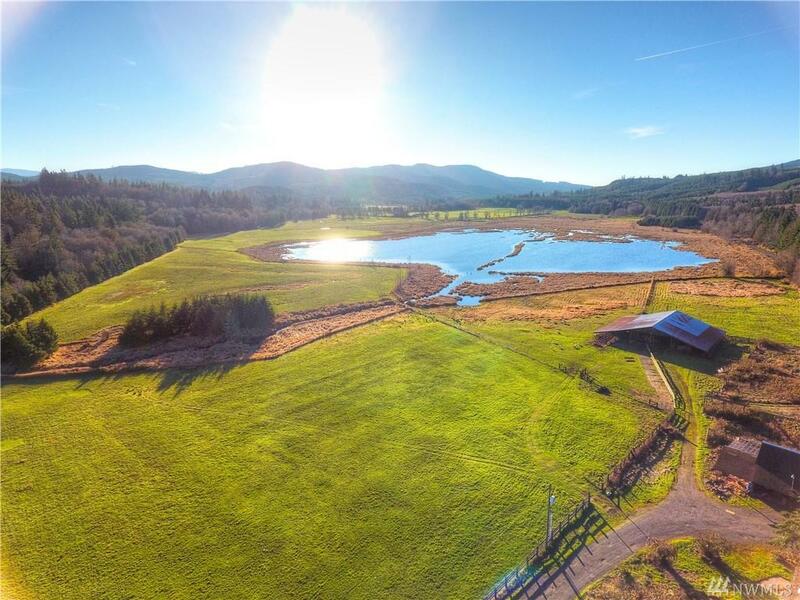 This would make a great ranch or sportsman retreat. Close to town and Little Creek Casino.